Arawak – More art. 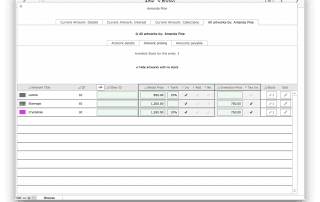 Less work. 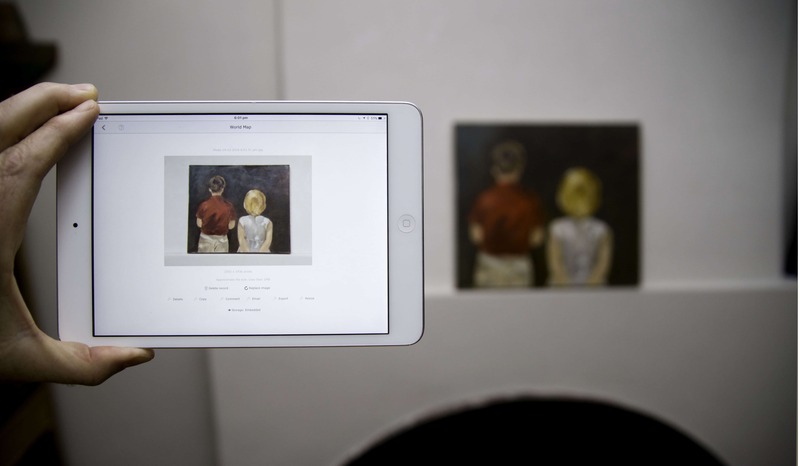 For artists, galleries and collectors. iPad, iPhone, Mac and PCs. 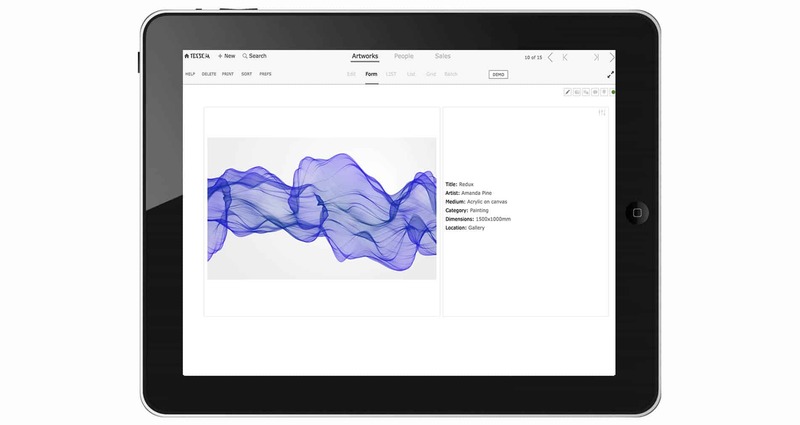 Tessera runs on Window, Mac, iPad and iPhone. 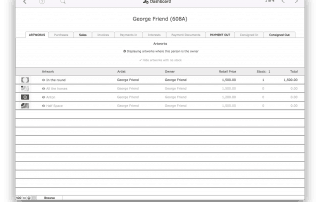 Download a complete working copy that can be registered at any time. 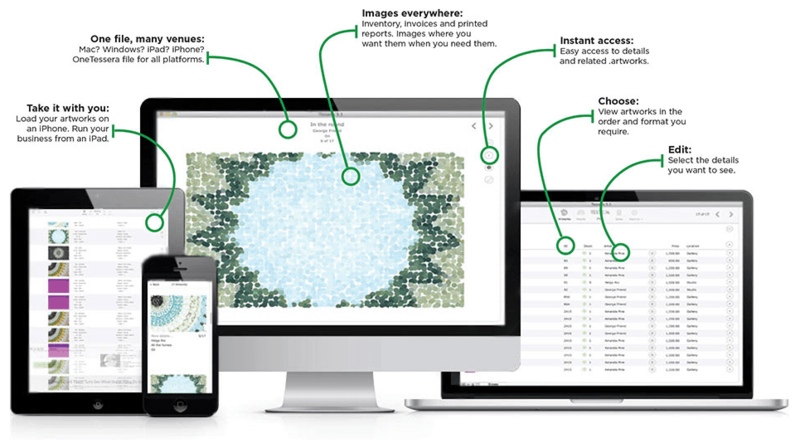 Preview some of Tessera’s features or download a copy of Tessera and try them all. 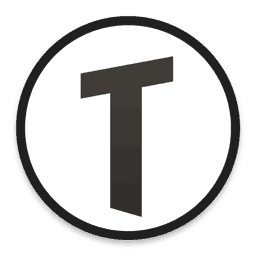 Tessera. 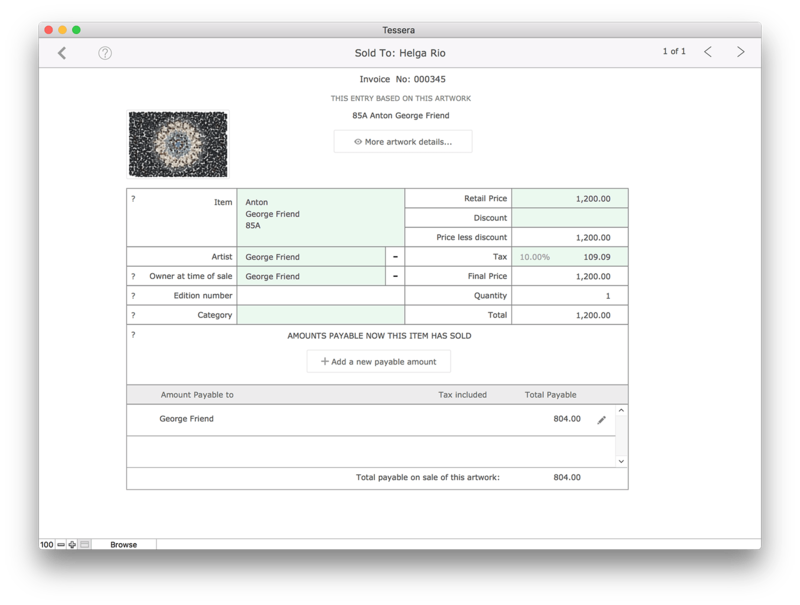 One time price $US99.00. 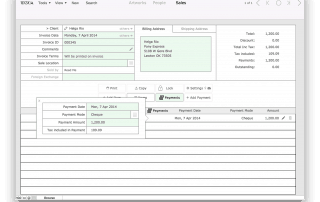 No annual fees. 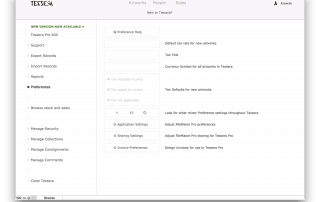 Tessera Pro. 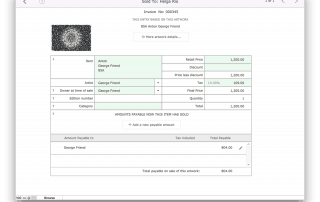 One time price $289.00. No annual fees. 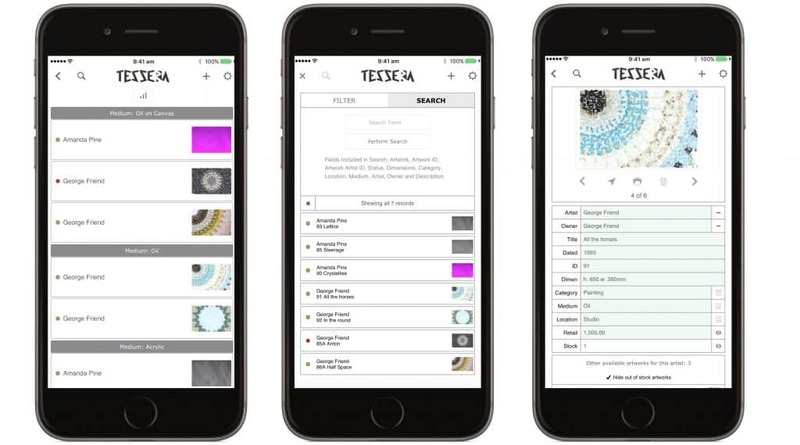 Compare the features available between Tessera and Tessera Pro and move to Tessera Pro from Tessera at any time with a Tessera Pro upgrade. 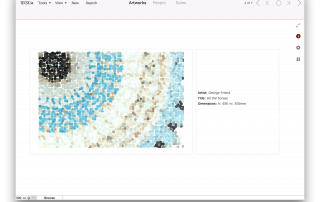 For thirty years Arawak has been building solutions for artists, collectors and galleries. 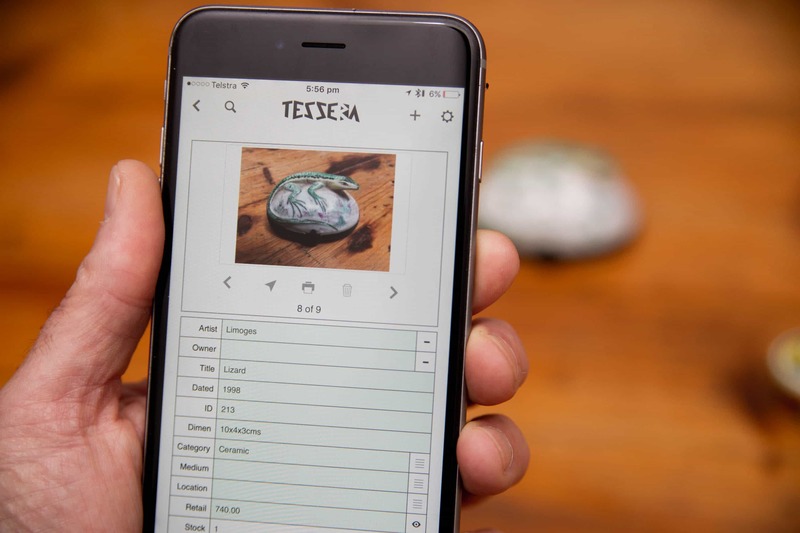 All this experience comes together in Tessera a solution that can organise a collection, run a school art-show or manage a gallery from your PC, Mac iPad or from the cloud. 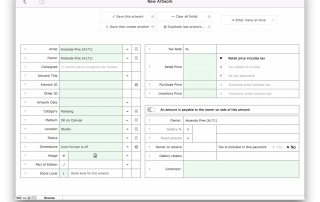 Unlimited customisable fields, support for Dublin core, calculate and pay artists for amounts payable on sale of artworks. 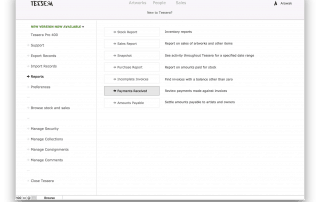 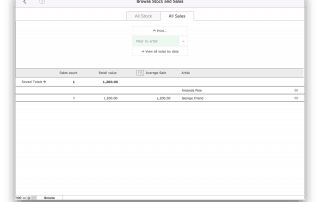 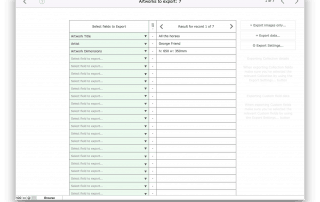 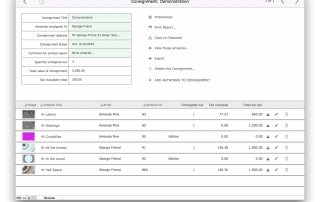 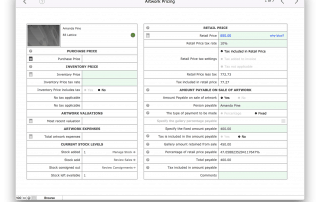 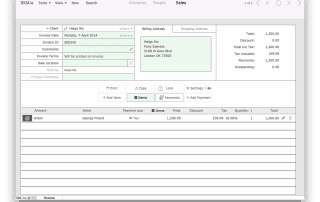 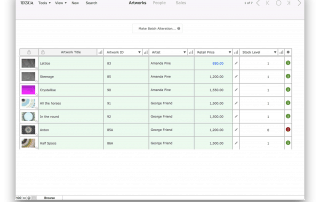 Manage purchases, manage multiple editions. 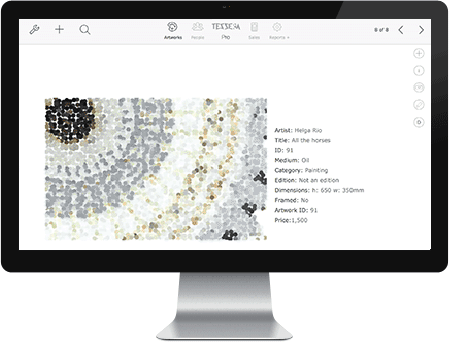 From single artist to galleries and art fairs Tessera can be adapted to your requirements. 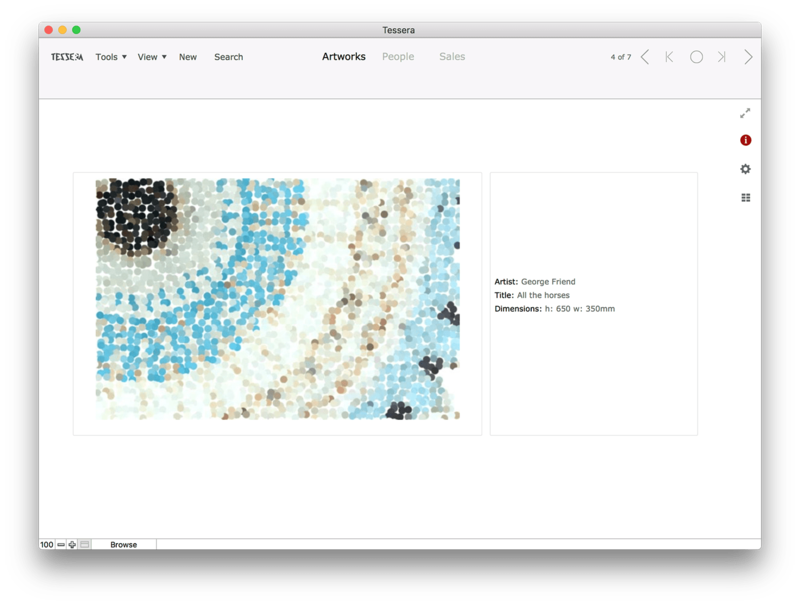 Tessera can automate formatting of dimensions, remembers artist artwork settings and retains artwork numbering requirements to help speed data entry. 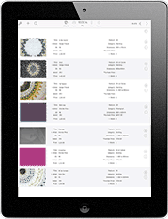 Meanwhile the Tessera export feature allows easy exporting of images and data to a wide range of formats. 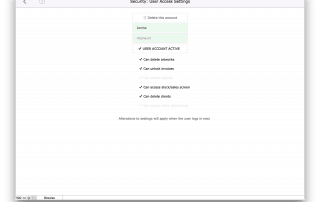 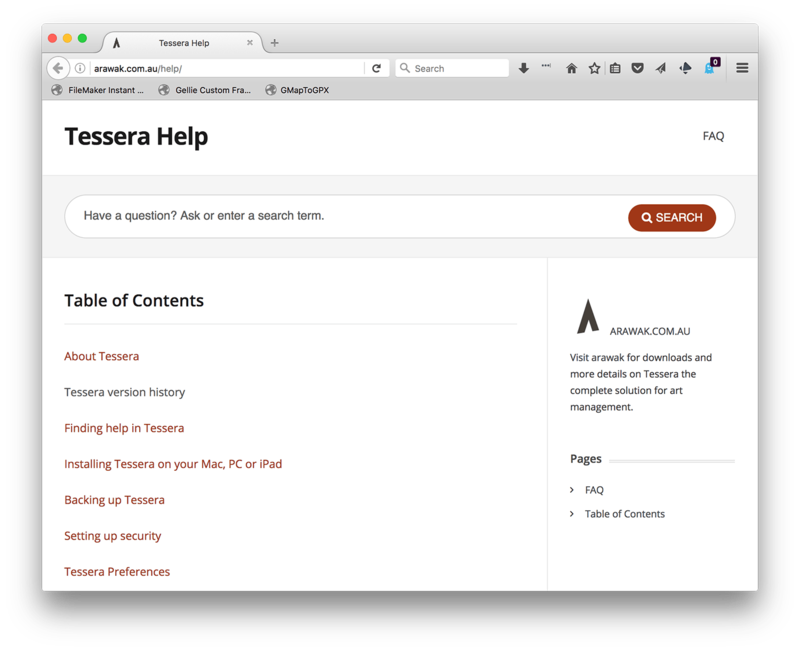 Keep your data secure and on your device or move to the cloud by hosting Tessera with FileMaker Cloud. 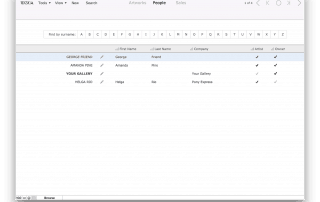 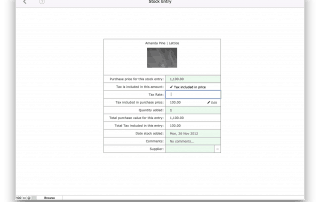 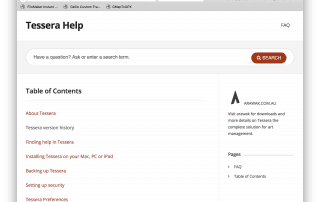 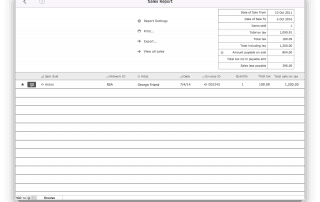 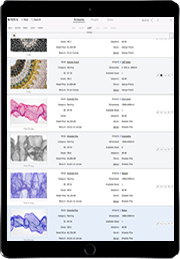 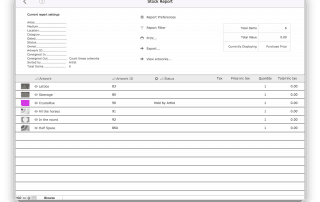 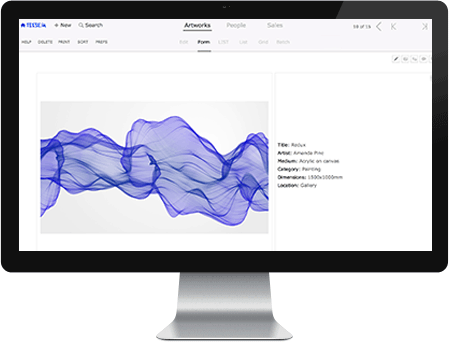 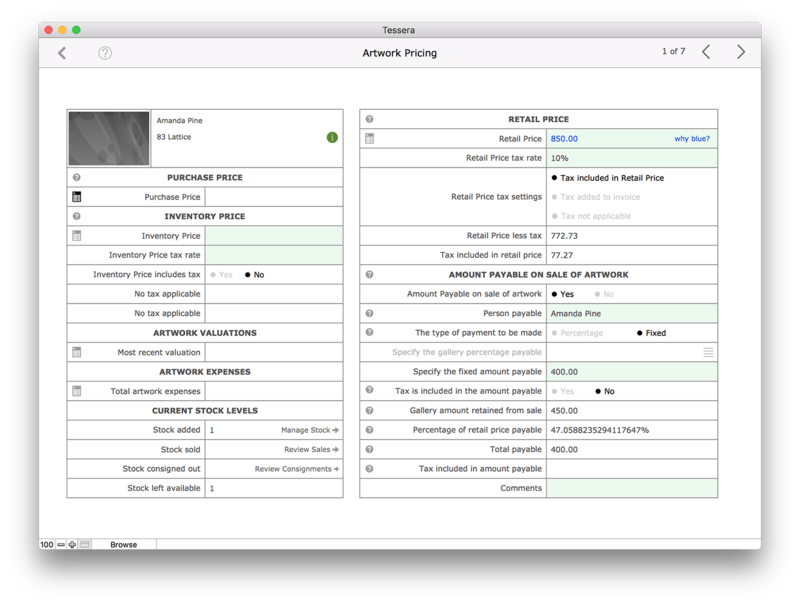 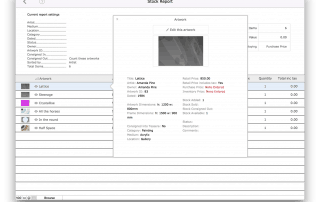 With a copy of FileMaker Pro Tessera can be shared between iPads, PCs and Macs and with FileMaker Pro Server your clients can view selected Tessera artwork collections from a web browser. No publishing to the web required. 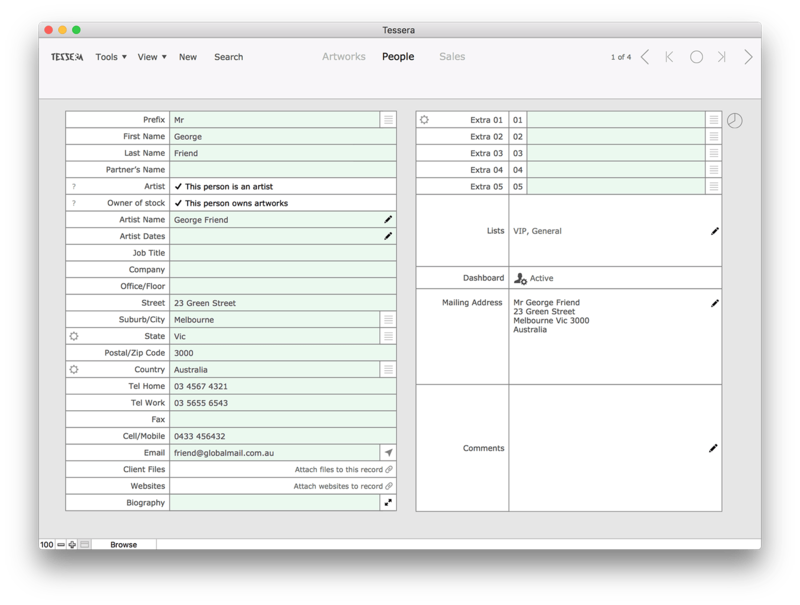 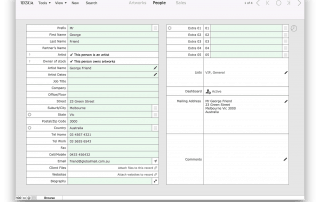 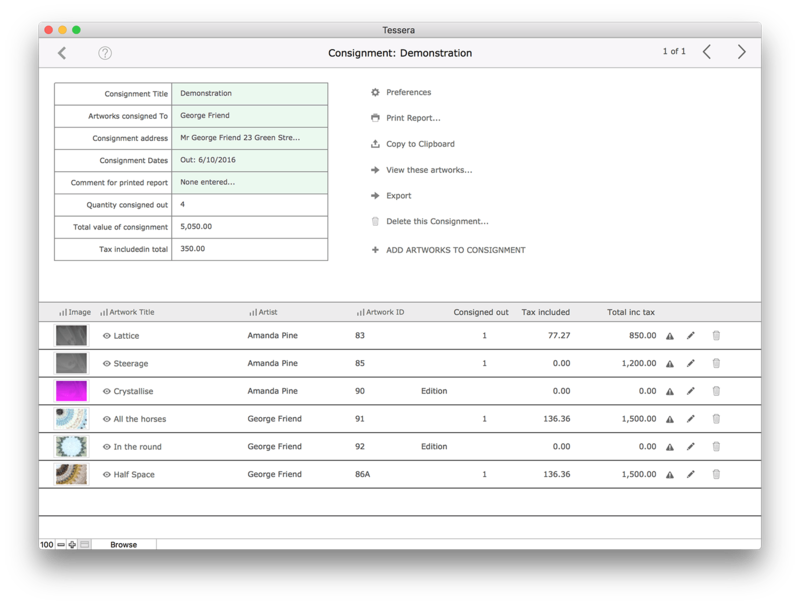 Tessera is built using FileMaker Pro a fully owned subsidiary of Apple Inc. For decades this stable, fast, relational database has been the foundation of businesses of all sizes. 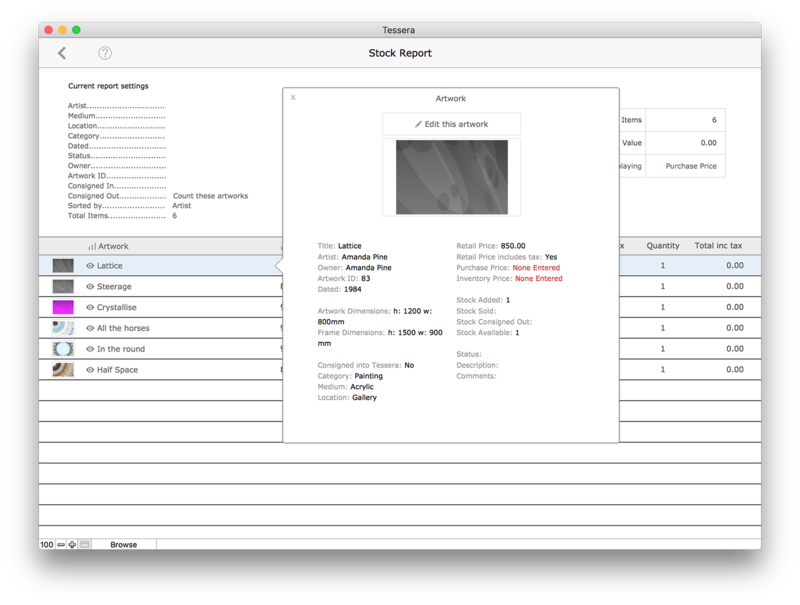 Tessera utilises features from the most recent versions of FileMaker Pro to deliver a seamless experience.